​The Lady Redskin cross country team finished fourth place Saturday at the Newton High School Invitational with a team score of 139. The Redskins had two girls medal in the top 20, with Katie Horyna finishing in 4th place and Audrey Gilmore finishing in 9th. Horyna clocked a time of 20:22, while Gilmore ran her fastest 5K ever in 21:20. The other Redskins to score points were Kelsey Ramsey in 39th place in 22:25, Ali Lucero placed 41st in 22:26, and Alondra Alvarado scored 46 points for the Redskins with a time of 22:48. The two others for the Lady Red were Reece Hay who placed 57th and Gisselle Melendez in 79th place with times of 23:04 and 24:24. ​The boys’ team placed sixth with a team with a score of 149 points. Antonio Borunda and Xavier Perez both medaled in the race as the 17th and 18th runners, both doing so in 17:27. Javier Carrillo placed 26th with a time of 17:46. Joel Obando’s time of 18:09 was the 42nd fastest on the day. Alex Lopez rounded out the Redskins that scored with a time of 18:13 and scoring 46 points. The two other runners for the men’s team were Fausto Parrall and Josh Diazdeleon. Parrall finished 60th in 18:31 and Diazdeleon was 76th in 19:14. ​Other Redskins to medal in their races were Aaron Venegas who placed 19th in a time of 19:27 in the boys’ junior varsity race. Reyn Slatten was 12th in the girls’ junior varsity race with a time of 23:32. The boys’ C team race had three runners medal in the top 20, with Oscar Palacios finishing in 21:06 for 9th, Juan Olvera was 15th in 21:48, and Cesar Dominguez finished in 18th place running a time of 22:14. 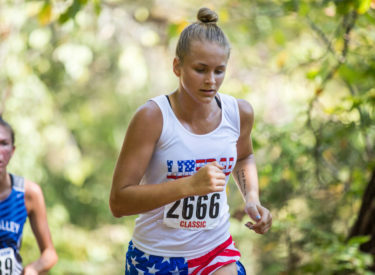 ​The Redskins junior varsity teams will compete October 5th in the Cimmaron varsity races, while the LHS varsity runners will be off from competing next week. They will be back in action for the Western Athletic Conference Championship Thursday, October 12th in Garden City.